Operating on solar energy, the MAN plant in South Africa’s Pinetown is the first climate-neutral commercial vehicle plant in MAN’s manufacturing network worldwide. The huge photovoltaic installation of Pinetown shimmers blue under the South African sun. “The vision of a first CO₂-neutral plant has now become a reality,” says Heiko Kayser, Plant Manager of the MAN production site in Pinetown. 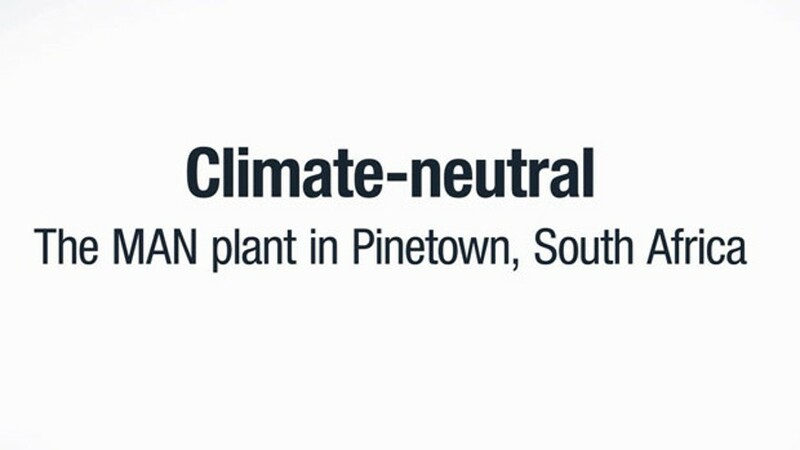 The commercial vehicle plant is not only the first climate-neutral plant in South Africa, but also the first in MAN’s network of manufacturing sites. With more than 300 days of sunshine annually, the Pinetown location offers ideal conditions for solar energy – even though the utilisation of this regenerative energy is still in its infant shoes in South Africa. When he first began working here in late 2012, plant manager Kayser had set an ambitious goal for himself and his staff members. After studying various concepts for regenerative power production, a photovoltaic approach turned out to be the most efficient solution. After the planning stage, the project became reality in merely six months. “Everything is feasible, if company strategy coincides with a personal vision,” emphasises Kayser. The new solar installation occupies 6,300 square metres and is almost three times the size of a football field. Capable of producing 810,000 kWh via its surface, the installation can not only supply the entire manufacturing site, but can even feed its environmentally friendly surplus energy into the local power network. The investment costs of about €730,000 should already be amortised in six to seven years. Other than the utilisation of solar energy, other green measures were also taken, including a new wash tunnel. Here, rain- and drain water are collected, filtered and re-used. After all, the sustainable usage of water resources is just as vital as energy efficiency. The new compressor driving the plant machinery also contributes to the positive climate outcome: As it does not continuously run at full tilt but merely produces the air volume required by plant equipment, it saves between 30% and 35% power as compared with its predecessor.